- Tính từ ngắn: S + be + adj + er + than ….. I am taller than Tuan. - Tính từ dài: S + be + more + adj + than …. My school is more beautiful than your school. 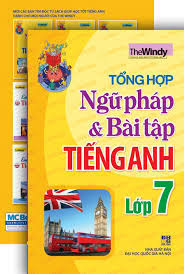 - Tính từ ngắn: S + be + the + adj + est ….. He is the tallest in his class. - Tính từ dài: S + be + the most + adj …. My school is the most beautiful. Ex: ______________ do you learn English? - Twice a week. _______________ have you learn English? – For two years. ________________ are you? – I’m fine. Thanks. ______________ is your mother? – She is forty. ______________ do you go to the market? – To buy some food. _______________ is a pen? – it’s 3,000 dong. _______________ chairs are there in the class? – There are twenty. _______________ do you get up? – At 6 a.m.
NV: Am / Is / Are + S …? NV: Do / Does + S + V1 …? - chỉ một sự thật, một chân lí. - She often gets up at 6 am. NV: Am / Is /Are + S + V-ing? - hành động đang diễn ra ở hiện tại. - Now, we are learning English. - She is cooking at the moment. NV: Was / were + S …? NV: Did + S + V1 ….? - hành động xảy ra và chấm dứt trong quá khứ. - She went to London last year. - Yesterday, he walked to school. NV: Will / Shall + S + V1 …? - tomorrow (ngày mai), next, in 2015, tonight (tối nay), soon (sớm) …. - He will come back tomorrow. - We won’t go to school next Sunday. - seventh - seventeenth - …………..
- eighth - eighteenth - …………..
- ninth - nineteenth - …………..
- What + a / an + adj + N! Ex: What a beautiful house! - What about / How about + V-ing ...? Câu trả lời: - Good idea. / Great (tuyệt) / OK / - I’d love to. - I’m sorry, I can’t. - Could you please show me / tell me the way to the ….., please? - Could you tell me how to get to the ….? Ex: - Excuse me. Could you show me the way to the supermarket, please? 10. 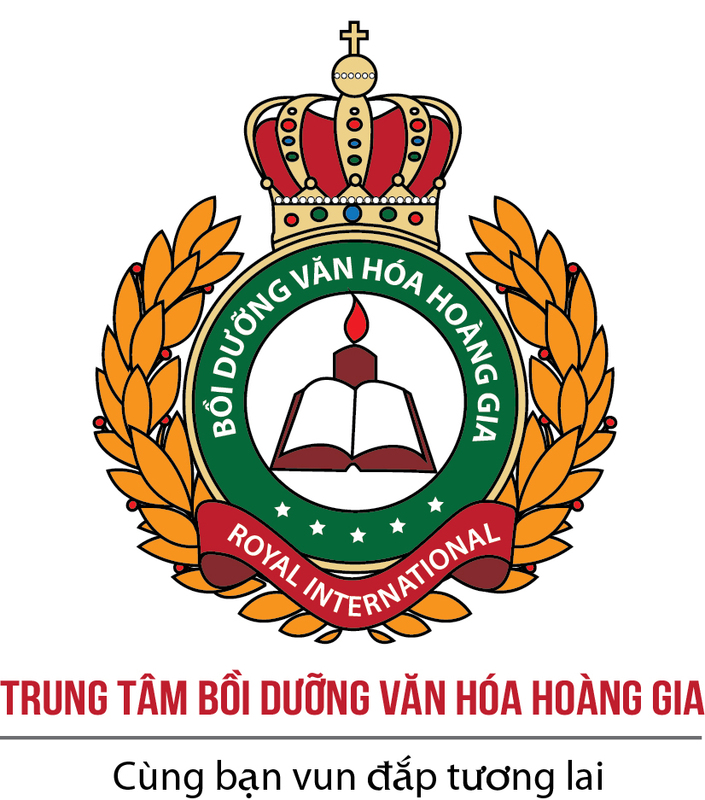 Hỏi giờ: What time is it? 1/ Do you go .. . . . . school . . . . . . .. . . . . foot or . . . . . . . . . .bike? 2/ My house is . . . . . . . Le Loi Street, her house is . . . . . . . . . 9 Le Lai Street. 3/ We are living . . . . . . . . . our parents . . . . . . . . . . . Quang Ngai town. 4/ I’m . . . . . . . . . . . . . . . . class 7A. 5/ Dictionaries are . .. .. . . . the shelves . . . . . . the left . . .. . . . . . . the room. 6/ She is interested . . . . . . . . literature, but we are fond . . . .. . . . . . . Math. 7/ My birthday is . . . . . . . . . . . . . . . . May first. 8/ Is Lan’s birthday . . . . . . . . . . . . . . . . March. 9/ Yen has Math and Music . . . . . . . . . . . . . . . . Monday. 10/ Tom is good . . . . . . . . . . . . . . . . physics. 11/ What do you often do . . . . . . . . . . . . . . . . recess? 12/ Tom lives . . . . . . . . . . . . the city, but Mary lives . . . . . . . . . . . . . . . . on a farm. 1/ It (rain)……… heavily now. You should (stay)…………… at home and (read) ………books. 2/ What are you (do) …………………………………………at the moment? - I (write) ………………………………….an essay.. .
3/ Where Lan and Ba (go) ……………tomorrow? They (visit) …………....the Museum. 4/ You (have) ……………………………………………………Geography next Friday. 5/ What about (play) ………………………………a game of chess? 6/ It takes her 10 minutes (make) …………………………….this toy. 7/ She (be) ……………………………..ten on her next birthday. 8/ I (meet) …………………………..you soon. 9/ Why don’t we (hold) ………………………a party? 12/ They (practice) ……………………………….playing the guitar in the music room now. 13/ We shouldn’t (waste) ………………………….water. 14/ I’d like (drink) ……………………………..some orange juice. 15/ Hoa usually (do) ……………………………..aerobics early in the morning. 17/ Would you like (come) ……………………………… to my house for lunch? 18/ They (go) ………………………..to visit Hue next summer. 1/ always / class / time / we / to / come / on. → . . . . . . . . . . . . . . . . . . . . . . . . . . . . . . . . . . . . . . . . . . . . . . . . . . . . . . . . . . . . .
2/ hours / week / often / does / how / he / many / a / work? 3/ not / American / uniforms / do / usually / school / wear / students. 4/ 10:00 / at / Wednesday / Science / Nam / class / on / has. 5/ interesting / I / because / Math / it / like / is. 6/ like / what / does / subject / best / Tom? 7/ you / work / to / want / we / with. 8/ Know / you / do / likes / he / how / meat? 9/ There / excuse / a / ! / post / is / me / near / office / here? 10/ That / you / the / , / want / is / post / letter / to / Mai? 11/ Is / interested / Mai / experiments / doing / in. 12/ him / tell / I’ll / please / call / after / 5 / again. 13/ Huong / be / November 20th / , / twelve / on / will / Saturday. 2. What do you usually do after school? 3. What should I do to have a good health? 4. Why don’t you take a rest? You look tired. 5. What sport does your brother like doing? 6. What are you going to do after the course? 7. Should we go to the beach? It’s a beautiful day. 8. How often does he play video games? a. I’m going to get a job. b. I often watch TV. c. Twenty minutes a day. d. Yes, may be I will. e. You should take physical exercises. f. That’s a good idea. Let’s buy some food and drinks. g. I’m playing the guitar. h. My brother likes playing soccer. 5 + . . . . ; 6 + . . . . ; 7 + . . . . ; 8 + . . . . .
1/ . . . . . . . . . . . . . . . . . . . . . . . . . . . . . . . . . . . . . . . . . . . . . . . . . . . . . . . . . . . . .
- She jogs 5 kilometers a day. 2/ . . . . . . . . . . . . . . . . . . . . . . . . . . . . . . . . . . . . . . . . . . . . . . . . . . . . . . . . . . . . . . . . .
- It’s about 200 meters from my school to the post office. 3/ . . . . . . . . . . . . . . . . . . . . . . . . . . . . . . . . . . . . . . . . . . . . . . . . . . . . . . . . . . . . .
- The dictionary is 200,000 dong. 4/ . . . . . . . . . . . . . . . . . . . . . . . . . . . . . . . . . . . . . . . . . . . . . . . . . . . . . . . . . . . . .
- I’d like some local stamps and a phone card. 5/ . . . . . . . . . . . . . . . . . . . . . . . . . . . . . . . . . . . . . . . . . . . . . . . . . . . . . . . . . . . . .
- Tim is my pen pal in England. 6/ . . . . . . . . . . . . . . . . . . . . . . . . . . . . . . . . . . . . . . . . . . . . . . . . . . . . . . . . . . . . .
- I need a phone card to phone my parents. 7/ . . . . . . . . . . . . . . . . . . . . . . . . . . . . . . . . . . . . . . . . . . . . . . . . . . . . . . . . . . . . .
- Mr. Viet is a farmer. 8/ . . . . . . . . . . . . . . . . . . . . . . . . . . . . . . . . . . . . . . . . . . . . . . . . . . . . . . . . . . . . .
- Lan often goes to the library in her free time. 9/ . . . . . . . . . . . . . . . . . . . . . . . . . . . . . . . . . . . . . . . . . . . . . . . . . . . . . . . . . . . . .
10/ . . . . . . . . . . . . . . . . . . . . . . . . . . . . . . . . . . . . . . . . . . . . . . . . . . . . . . . . . . . .
- Nam likes playing soccer after school. 11/ . . . . . . . . . . . . . . . . . . . . . . . . . . . . . . . . . . . . . . . . . . . . . . . . . . . . . . . . . . . .
- I go to the movies twice a month. 12/ . . . . . . . . . . . . . . . . . . . . . . . . . . . . . . . . . . . . . . . . . . . . . . . . . . . . . . . . . . . .
- Hoa will be twelve on her next birthday. 13/ . . . . . . . . . . . . . . . . . . . . . . . . . . . . . . . . . . . . . . . . . . . . . . . . . . . . . . . . . . . .
- Nam’s favorite subject is Electronics. 14/ . . . . . . . . . . . . . . . . . . . . . . . . . . . . . . . . . . . . . . . . . . . . . . . . . . . . . . . . . . . .
- The shoes cost 50,000 dong. 1/ What about going to the movies? → Why . . . . . . . . . . . . . . . . . . . . . . . . . . . . . . . . . . . . . . . . . . . . . . . . . . . . . . . .
2/ Where does she live? → What . . . . . . . . . . . . . . . . . . . . . . . . . . . . . . . . . . . . . . . . . . . . . . . . . . . . . . . .
3/ What do you do? 4/ The dress is very old. → What . . . . . . . . . . . . . . . . . . . . . . . . . . . . . . . . . . . . . . . . . . . . . . . . . . . . . . ! 5/ What subject does she like best? → What is . . . . . . . . . . . . . . . . . . . . . . . . . . . . . . . . . . . . . . . . . . . . . . . . . . . . . .
6/ How much is the hat? → How much does . . . . . . .. . . . . . . . . . . . . . . . . . . . . . . . . . . . . . . . . . . . . . ? 7/ Lan is taller than Hoa. → Hoa is . . . . . . . . . . . . . . . . . . . . . . . . . . . . . . . . . . . . . . . . . . . . . . . . . . . . . .
8 . No one in the group is taller than Trung. → Trung . . . . . . . . . . . . . . . . . . . . . . . . . . . . . . . . . . . . . . . . . . . . . . . . . . . . . .
9. I get to work in half an hour. → It takes . . . . . . . . . . . . . . . . . . . . . . . . . . . . . . . . . . . . . . . . . . . . . . . . . . . . .
10. How much is this dictionary? → How much does . . . . . . . . . . . . . . . . . . . . . . . . . . . . . . . . . . . . . . . . . . . . . . . .
11. How about eating out tonight in a restaurant → Why don’t we . . . . . . . . . . . . . . . . . . . .
1/ Her new school is different . . . . . . . . . . . . . . . . . . . . . her old school. 2/ . . . . . . . . . . . . . . . . . . . . . is it from your house to the market? 3/ Is there a picture on the wall? . . . . . . . . . . . . . . . . . . . . . .
4/ He works . . . . . . . . . a hospital. He takes care . . . . . . . . . . . . . patients. 5/ What does your father do? . . . . . . . . . . . . . . . . .
6/ His car is . . . . . . . . . . . . . . . . . . . . . the shop. Could you (show) ……………….. me the way to the bus stop ? Lan and Hoa (go) ……………….to the post office now. Liz (need) …………………………. some stamps and envelopes. 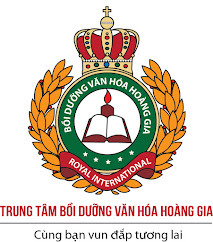 Hoa needs (buy)………………. a phone card . I (mail)…………………… this letter tomorrow . He (phone)………………..his parents three or four times a week. Nam wants (send) …………………this postcard to his penpal. We would like (visit) ……………….. Ngoc Son temple. Lan likes (play) ………………………. volleyball. 1………….. did she go to the dentist last week ? - Because she had a toothache . 2. Spinach is very good …………. you but you must wash it ……………………. 5. We won’t attend the meeting tomorrow and he will ………………………………... .
6. ……………. is your bother ? – He is 1,70 meters . 8. He ought to finish his homework before he plays tennis . 9. Most of the world’s surface is ………………………………………………………………. 11. What kind of ……………….. do you like ? – I like pop music . 12. Lan lived in Ho Chi Minh city three months ago , Now she …………….. the noise in the city . 13. All Children should …………………… outdoor and develop their social skills . 14. General Giap is famous ………………….. the People’s Army of Viet Nam. a. of lead b. of leading c. for leading d. for lead . 15. Stop , please . That is too ………………….coffee . Hoa told Hung . Today, badminton becomes a very (0) ……popular……… sports activity. It spreads quickly from the city (1 )… ……….. the countryside. People need only a (2) ……….……. of rackets, a shuttlecock, a net and a (3) ………………… piece of land to play the game. Two or four players hit the shuttlecock over the net with their rackets. People can play badminton in their (4) ………………….time or in a competition. Now, there (5) ………………. many badminton competitions and even a World Cup. One of the (6) ………… countries in badminton is Indonesia. 2. We ……….. English at the moment. 3. This dress is the expensive of the four dresses. 4. is it from here to school? 5. What about …………… games? 6. He writes articles for a newspaper. He is a . 7. Minh____________ television every night. 8. I’d like …………… some stamps for overseasmail. 9. She ____________ thirteen years old next week. 10. Her new school is ____________than her old school. 11. My mother always drives . 12. You ought to the dentist’s. 13. How is your brother ? _ He’s 1.70 meters. 14. She her teeth three times a day. 15. Stop, please. That is too coffee. 16. A balanced diet is good your health. 17. It took us an hour to Nha Trang. 18__________ visiting Halong Bay? –That’s a good idea! 19. Students have two __________each day. 20. __________do you go to bed? - At nine. 21. Hanoi is the capital city, but it is __________than HCM City. 22. Which is the eighth month of the year? 23. -Where ____________________ from ? –England. 24. In the future, robots and machines __________all the work for us. 25. Look! Here is Nam. He __________the guitar in the room. 26. She __________some of her friends to her birthday party next week. 27. I have English class __________seven o’clock __________Monday. 28. __________a lovely living room! 30. Mr. Jones has __________summer vacation every year. 31. It take me ten minutes to go to school every day. 32. I’ll go and seeing mom and dad on their farm.